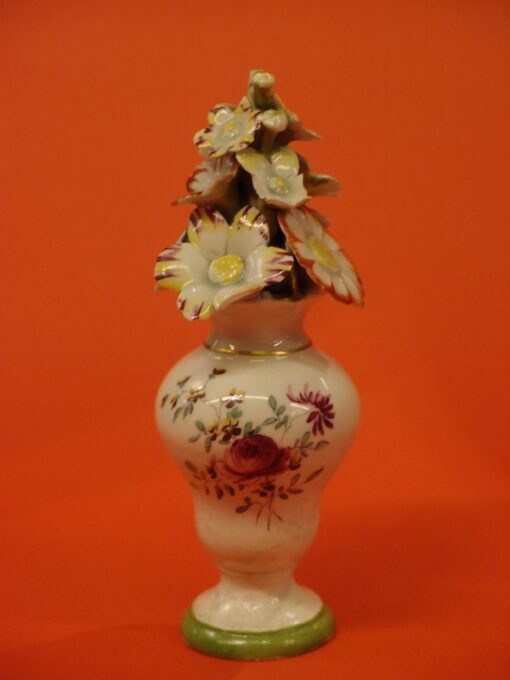 A delightful little George II/III ornament from the Derby porcelain works, the flowers have some chips. The vase section is finely painted with a floral spray of flowers with "cotton thread" stems. Unmarked. 15cm tall. A delightful little George II/III ornament from the Derby porcelain works, the flowers have some chips. The vase section is finely painted with a floral spray of flowers with “cotton thread” stems. Unmarked. 15cm tall.